A company which provides property Sales and high value rentals( above 20K ) in all areas in chennai, Property management in Yelagiri, Renovations undertaken at Elagiri for clients who have a residence already at Yelagiri with full drawings and execution. New constructions also undertaken. 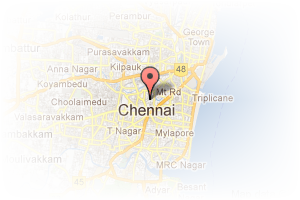 Address: 29/19 Kulandai velu street, purasawalkam, chennai, Pattalam, Chennai, Tamil Nadu, India. This Broker Profile page for "AYJ Properties" has been created by PropertyWala.com. 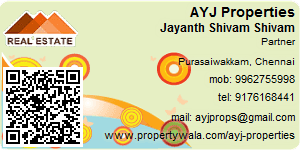 "AYJ Properties" is not endorsed by or affiliated with PropertyWala.com. For questions regarding Broker Profiles on PropertyWala.com please contact us.